Art Gallery Cards: Double Z Card! Occasions! Great Cardmaking Fun! Double Z Card! Occasions! 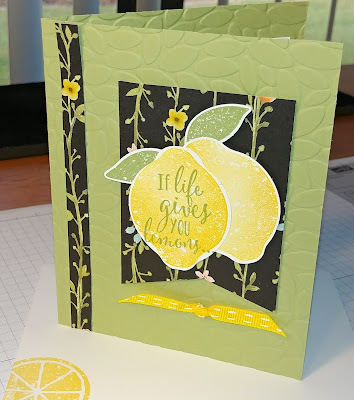 Great Cardmaking Fun! I hope you are all having some wonderful creative times in your lives! I'm about to head out to my stamp room but I wanted to touch base with you so that you can see last week's cards and know what is coming up! What's Coming Up? Occasions! Yayyyyyy! You can already purchase the bundle that is featured above so what are you waiting for???? Christmas??? Haha! Just teasing! If you'd like some extra fun, just follow the steps below!! Set up your own fun account. Orders of $40 or more will earn you and extra punch on your "Lucky 7" punch card and rhinestones or pearls! If you reside out of town, you can choose a ribbon share or both pearls & rhinestones. Your order will be delivered directly to you! This is the real fun!!! Let me know if I can be of further help to you!! Don't you love the Double Z design card??? It is so much easier that it would appear to be. 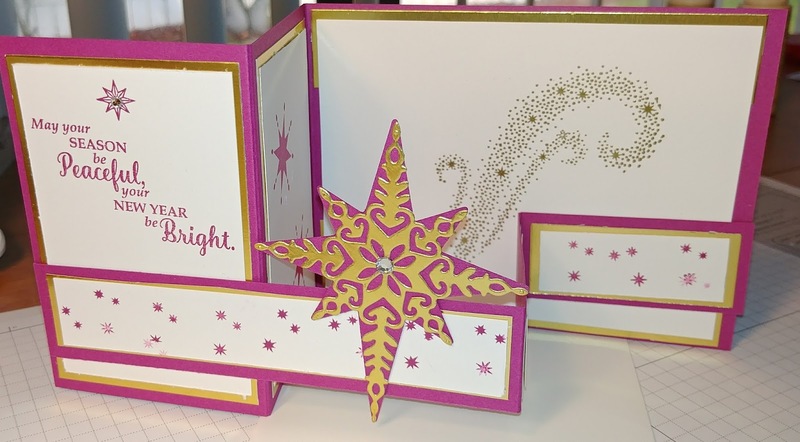 I used Berry Burst and Gold Foil for this special Christmas card. Email the code vintage to me. If you're first you get a set of my vintage stamps. for 3 different cards. What a treasure! Email me if you would like instructions for the Double Z card! This is a simple and sweet card. The Lemon Zest bundle includes a punch to stamp the lemons and leaves AND it is discounted 10%! Be the first to put an order online with me, using the hostess code, and you'll receive a 6x6 collection of the Whole Lot of Lovely designer papers.The Whole Lot of Lovely Designer Paper has sooooo many pretty papers and this one is a perfect background, I think!! Here they are all lined up!! Have a wonderful weekend and a lovely week coming up! !